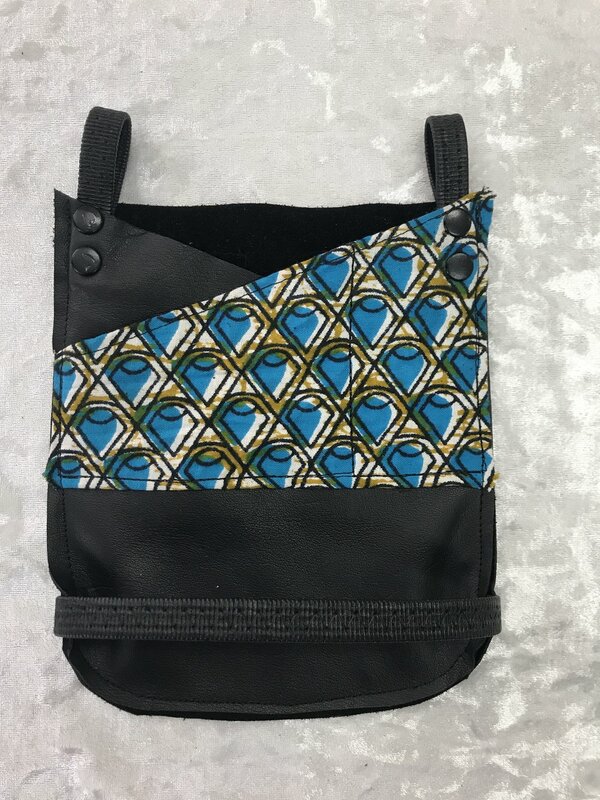 In collaboration with Brittany Davis of Brass + Blade Leatherworks, Polly Pepper created a unique line of "Party Pouches" designed for movement. Keep all your necessary valuables safe and secure while dancing, running, hiking, or just going about your day! 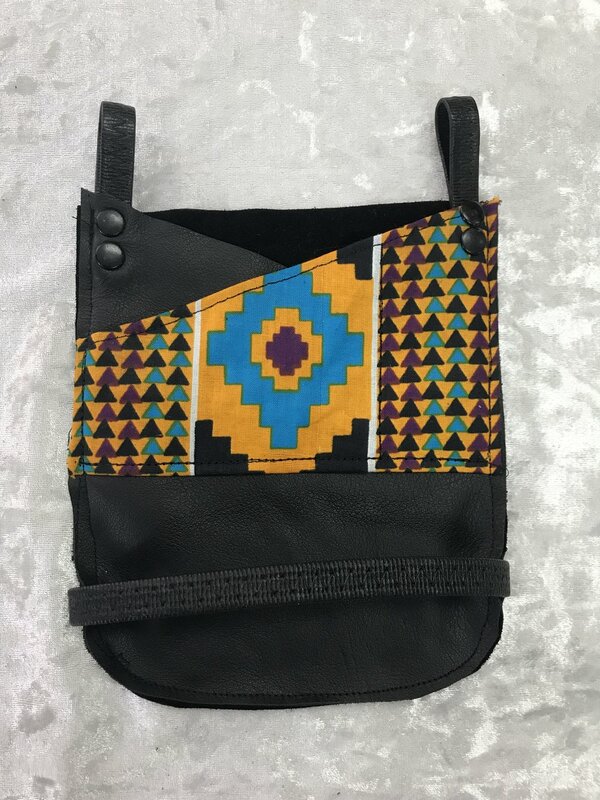 Our Premium Pouches are hand-stitched from recycled leather and our Printed Pouches are machine sew using fabric scraps from friends' clothing companies, costumes, and repurposed material, so each bag is unique. $15 for ADDITIONAL WAIST STRAP to prevent swinging while dancing or working out. It attaches to each end of the elastic loop at the bottom of the pouch and goes around your waist. When not in use it can be attached to the other clips at the top of the pouch and will hang down just below the pouch so you always have it handy. $10 for SHIPPING AND HANDLING within the continental US. For more amazing bags handmade with love in California, visit Brass + Blade.